We are named among the renown manufacturers and wholesalers of a qualitative array of Starting Resistor. 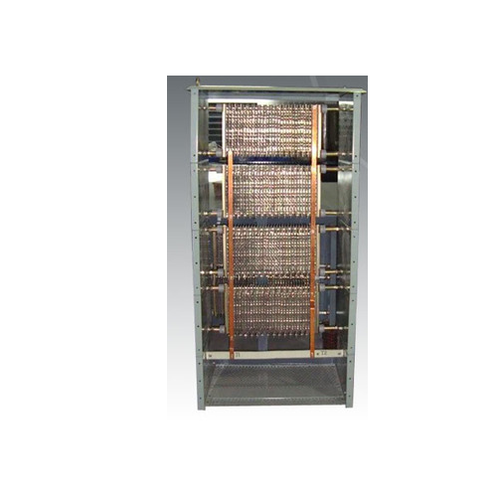 Our range encompasses, Neutral Grounding Resistors, Earthing Resistors and Buffer Resistor along with many such. Esteemed clients can avail this range from us at the reasonable prices and according to their preferences. Additionally, our range has been prepared under astute guidance of our expert professionals in order to ensure its smooth and reliable functioning at the clients' end. Precisely manufactured in accordance with the organizational guidelines, our range of Starting Resistor is largely demanded by our clients. Available as per their requirements, our range also meets international quality standards.